An African spoonbill isn’t born with its magnificent bill, but it doesn’t take long to grow. By the time the young leave the nest, they have the distinctive profile that gives them their name. Striding along on red, stilt-like legs, these birds feed by sweeping their open bills back and forth underwater. When something to eat touches the inside of the bill, it snaps shut. Swallowing is accomplished with a backward tilt of the head. How do African spoonbills nest? 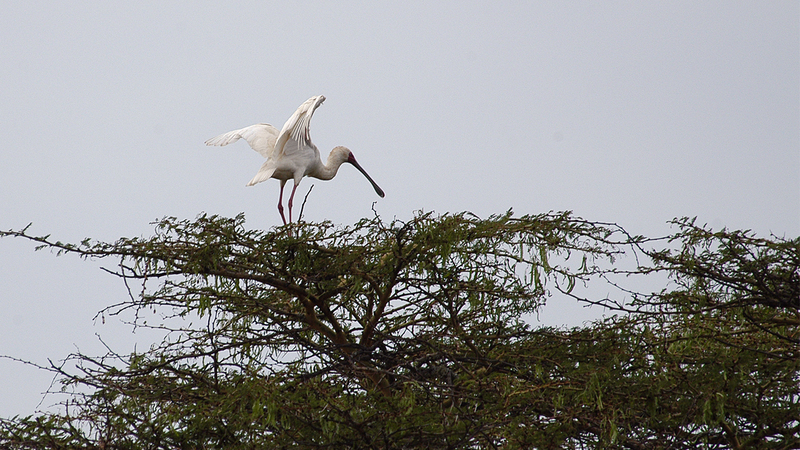 African spoonbills nest in huge colonies, building their nests of sticks in trees above water. 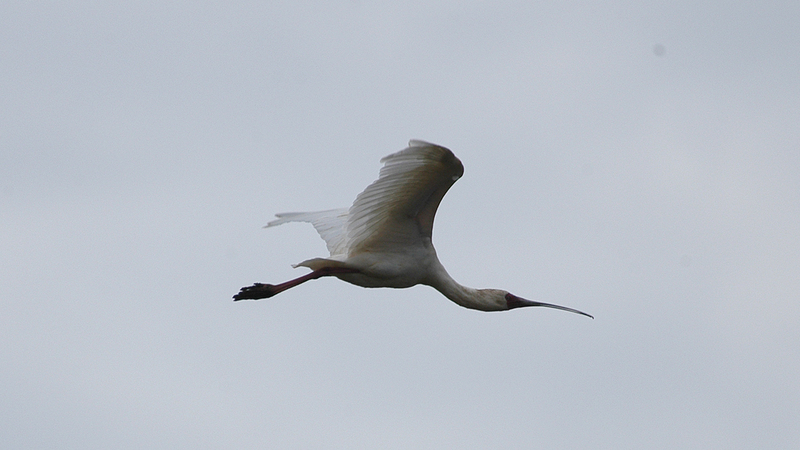 Colonies typically include as many as 500 spoonbills, but may number as many as 1,000. 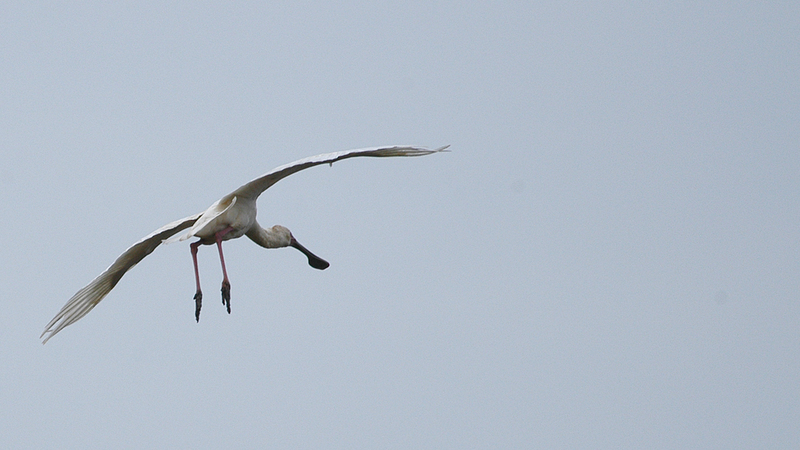 African spoonbills nest in colonies of 250 pairs or more, often with other species. They frequently rest along the shores of shallow waters, sometimes in numbers as large as 1,000. Pairs or small groups of African spoonbills hunt in shallow water, although they may wade in water that reaches nearly to their knees. ​Although overall the population of African spoonbills is stable, in some areas they are threatened by the draining of wetlands. The spoonbill has a carnivorous diet that consists of small fish and aquatic invertebrates, such as crayfish and water beetles. The spoonbill’s nest, usually in trees above water, is built from sticks and reeds and lined with leaves. During breeding season, the female lays three to five eggs. The male and female take turns incubating the eggs for about a month. The chicks are ready to leave the nest a month after they hatch. Large flocks of spoonbills can be seen resting on shore with yellow-billed storks. Spoonbills sometimes eat with herons, taking advantage of the insects and crustaceans that these birds disturb while stalking their food. 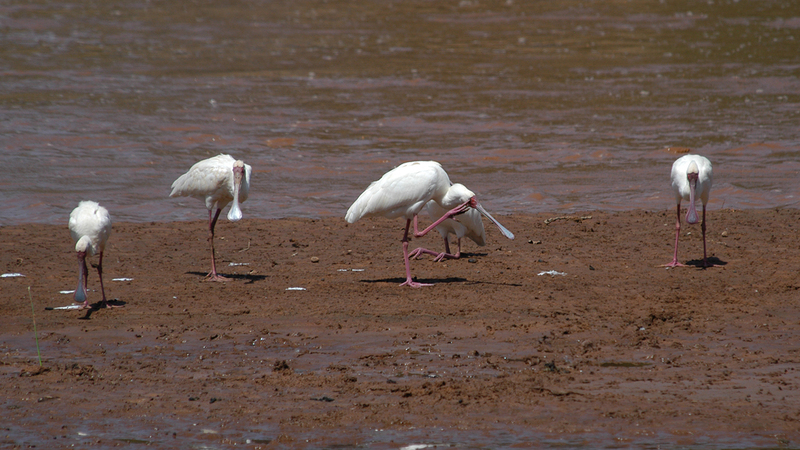 In Kenya, African spoonbills are found in the southwest and around the shores of Lake Turkana. 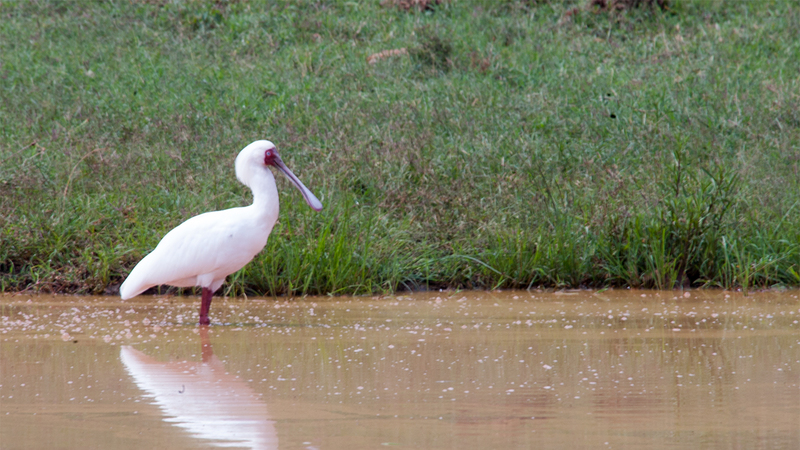 The African spoonbill is common throughout most of sub-Saharan Africa. It can be found on reservoirs, artificial ponds, and other inland waters; in wetlands, such as marshes, swamps, and riverbanks; and on plains and savannas. Although it is sometimes described as nomadic, its movements are inspired by local rainfall rather than a change in season. 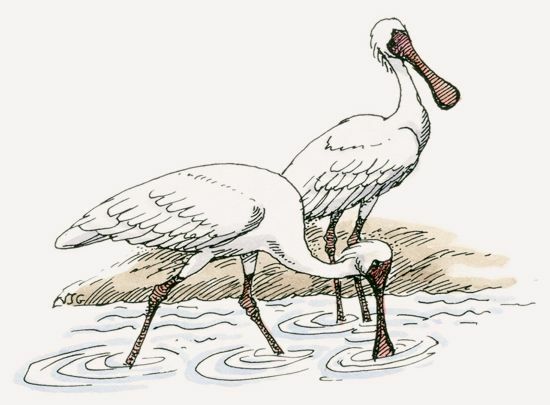 African spoonbills have been observed following Nile crocodiles and hippopotamuses to eat food stirred up by these large animals.